Agilent Technologies Inc has completed the acquisition of specific assets of A2 Technologies. Financial details were not disclosed for the acquisition, which was first announced January 19. The acquisition supports Agilent’s goal of expanding its spectroscopy business. Substantially all of A2 Technologies’ intellectual property, technology and spectroscopy product portfolio are now part of Agilent’s Spectroscopy Solutions Division within its Chemical Analysis Group. All former A2 Technologies employees have joined Agilent. Headquartered in Danbury, Conn, USA, A2 Technologies focused on Fourier transform infrared (FT-IR) technology for lab and field use. The company designed, developed and manufactured FT-IR spectrometers for routine analysis and out-of-lab applications in the petrochemical, environmental, aerospace, art conservation, academia and geosciences markets. Unique, patented technologies acquired from A2 provide high-performance analytical capabilities in a compact form. An partnership between Addmaster (UK) Ltd, the inventors of Biomaster Antimicrobial Technology and CAAMIC is to provide Addmaster clients with an opportunity to test their products in a ‘real life’ clinical setting. CAAMIC, hosted by the Heart of England NHS Foundation Trust (HEFT) in Birmingham, exists to evaluate products for infection control, providing a bridge between innovators and the NHS. Biomaster, with its silver-based antimicrobial properties, is already a component of a wide range of products and applications used within the NHS. The Addmaster client list in this field includes manufacturers of wall paint, fabrics and work surfaces as well as numerous products created especially for the NHS, such as bed curtains, case note folders and door handles. Medgenics Inc, the company that has developed a novel technology for the manufacture and delivery of therapeutic proteins continuously in patients using their own tissue, announced that, on 10 February 2011, it signed an exclusive worldwide license with the Regents of the University of Michigan of patent rights relating to certain uses of variants of clotting Factor VIII developed by Professor Randall Kaufman of the University of Michigan, a leading authority on Factor VIII. The variants of Factor VIII being licensed have been reported by various researchers to have greater production and delivery performance to the blood circulation compared with standard forms of Factor VIII. Medgenics is actively developing a technology called HEMADURE – a Biopump producing Factor VIII intended for use in hemophilic patients. As previously announced the Company has developed Biopumps that produce active Factor VIII and is continuing to collaborate with Baxter Healthcare to improve the Biopump performance to reach Factor VIII levels projected to be clinically useful. Medgenics intends to use the variants of Factor VIII licensed from the Regents of the University of Michigan to determine whether it can increase Factor VIII production from the HEMADURE Biopump. In ongoing laboratory studies, the Company has demonstrated significantly greater Factor VIII production from Biopumps utilizing one of these licensed variants. These studies are continuing. The market for injected Factor VIII was approximately US$4.0 billion in 2009 (La Merie Business Intelligence, R&D Pipeline, Top 20 Biologics 2009 (March 10, 2010)). The License Agreement covers a portfolio of 2 issued and 3 pending patents and requires the Company to pay an initial license fee of $25,000 to the Regents of the University of Michigan, as well as continuing annual license fees, milestone payments of US$750,000 (in aggregate) related to the progress of research and development, of which US$400,000 will be recoupable against royalties, patent maintenance costs, royalties ranging between 2% and 5% and sublicense fees ranging between 4% and 6%. The exclusive worldwide license will expire upon the expiration of the last to expire of the patent rights licensed in 2026. 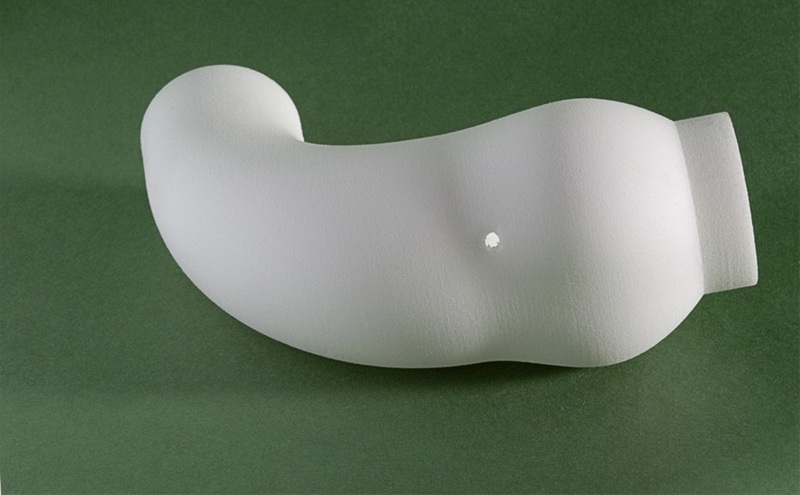 Rapid prototyping company CRDM has partnered with Tal Golesworthy, the founder and technical director at Exstent to offer a new solution for Marfan syndrome, a hereditary medical condition that affects 12,000 people across the UK. Marfan syndrome is an inherited disorder of the body’s structural tissues due to a deficiency in fibrillin - a structural protein fibre. It can affect many areas of the body, but the most detrimental consequence involves the aorta – the main arterial conduit from the heart. As a result of this disorder, the aorta runs the risk of dilating and ultimately rupturing. 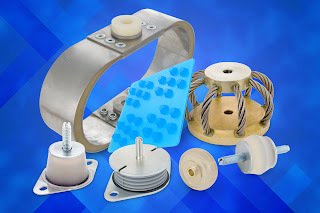 Advanced Antivibration Components (AAC) offers functional vibration isolators for the medical industry including silicone gel pads, sheets, and silicone gel as well as wire rope isolators for larger applications. Applications include medical equipment such as flow cytometers, blood analyzers, life science cameras, sensitive electronic scales, handheld devices, carts, motors and pumps. Its silicone gel products are very effective in isolating vibration in low frequency applications with loads ranging from 0.11 to 165 lbs per mount. When tackling some of the most serious genetic issues and stem cell treatments affecting hearing, the best scientists are needed, which is why leading charity Deafness Research UK has announced it is hosting a Recent Advances in Molecular Biology of Otology seminar to showcase some of the latest work taking place in hearing research. Chaired by Professor David Moore, Director of the MRC Institute for Hearing Research, the seminar on Monday 21 March at the CBI Conference Suite in London aims to bring together both researchers and clinicians to discuss the latest advances in the field, from both investigative and medical perspectives. A branch of biomedicine, otology studies the normal and pathological anatomy and physiology of the ear, together with its diseases, diagnosis and treatment. Its key areas of concern consist of identifying the underlying mechanisms of Meniere’s disease, tinnitus, otitis media (glue ear) the use of cochlear implants and age-related hearing loss (presbycusis) – all of which are priority targets for Deafness Research UK. This year, the SCHOTT technology group will be celebrating the 100th anniversary of SCHOTT Fiolax, its pharmaceutical glass tubing brand. Since it was first developed by the company’s founder, Otto Schott, and introduced to the market in 1911, Fiolax special glass tubing has remained the benchmark product for high-quality primary pharmaceutical packaging. 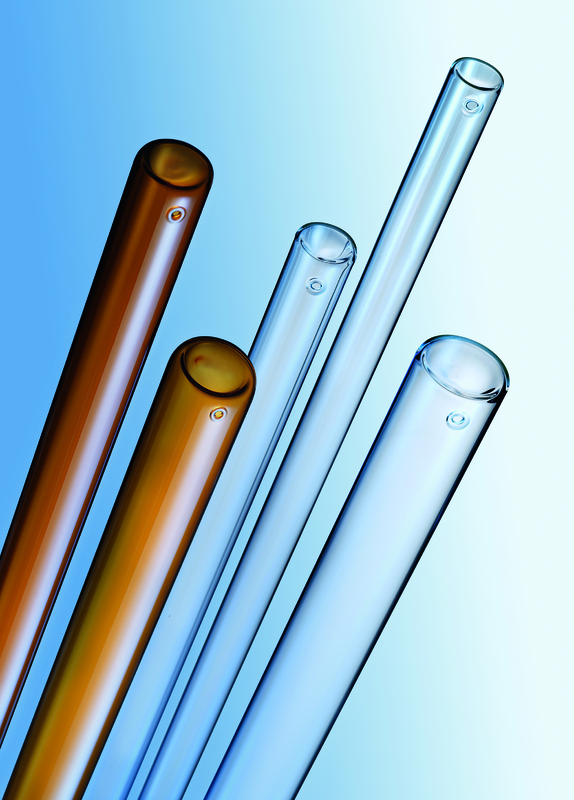 “Manufacturing high-quality special glass tubing for the pharmaceutical industry and biotechnology is one of our main fields of expertise and a core business at SCHOTT. Our Fiolax pharmaceutical tubing is the world’s most frequently used material for manufacturing primary pharmaceutical packaging. With Fiolax, we offer pharmaceutical packaging companies a premium product that meets the highest quality standards worldwide,” says Prof Udo Ungeheuer, Chairman of the Board of Management of SCHOTT AG. 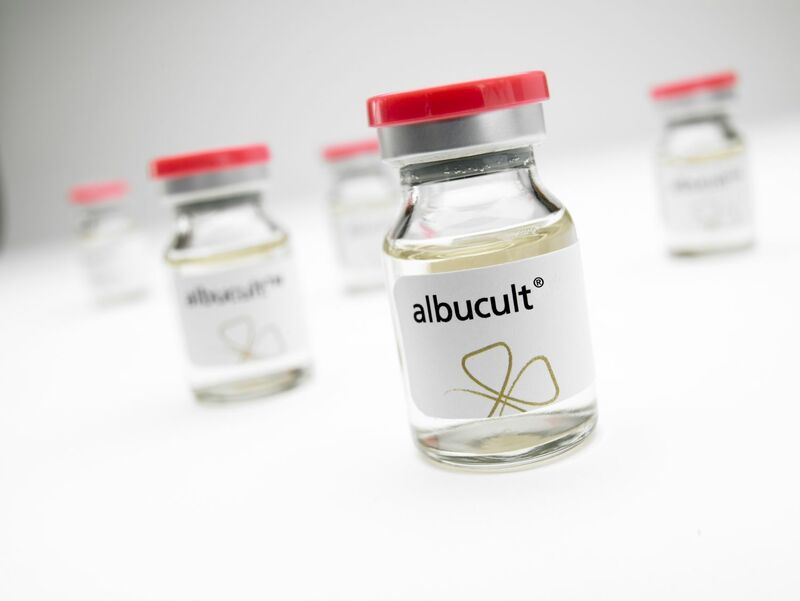 Novozymes Biopharma's recombinant human albumin, albucult, is being used by Neomend in its ProGEL PLATINUM surgical sealant. This product will be commercially available in Europe beginning in the second quarter of 2011. Neomend is an innovator in sealant and adhesion prevention products for the surgical marketplace. The company utilizes albucult as a key component in ProGEL PLATINUM, the only sealant of its kind developed to treat pleural air leaks following lung resection surgery. Neomend's ProGEL is a hydrogel polymer consisting of Novozymes' albucult and a cross-linking component of polyethylene glycol (PEG). When they are combined, a rapid cross-linking reaction creates a hydrogel matrix that results in the formation of a strong, adherent and flexible seal. The technology, which has received a European CE Mark, enables surgeons to more effectively treat lung air leaks during surgery and has already been used in more than 8,000 procedures in the US since April of last year. 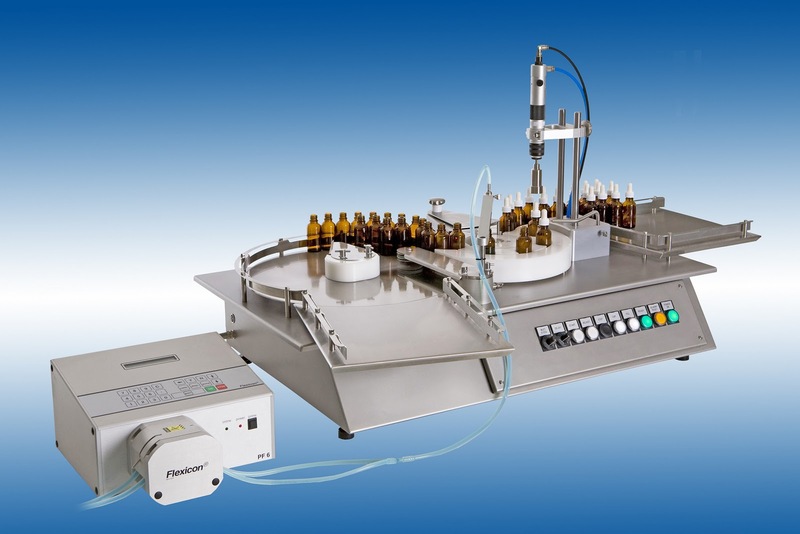 Flexicon Liquid Filling, a business division of Watson-Marlow Pumps Group, is introducing a new and improved version of its established FF30 tabletop filling and capping machine for pharmaceutical, biotech and diagnostic applications. Flexicon, which has specialised in aseptic bottle and vial filling and capping systems since 1986, has used its policy of development and ongoing product improvement to create a more compact and improved model that is ideal for small scale production and fits LAF cabinets. The machine can accommodate bottles up to 50mm in diameter (110mm high) and caps up 50mm (40mm high). Dyadic International Inc, a global biotechnology company focused on the discovery, development, manufacture and sale of enzyme and protein products and solutions for the bioenergy, industrial enzyme and biopharmaceutical industries, announced today that it has been issued US Patent No 7,883,872 entitled, Construction of Highly Efficient Cellulase Compositions for Enzymatic Hydrolysis of Cellulose, by the United States Patent and Trademark Office. The invention embodied by this patent is a novel beta-glucosidase gene and its corresponding enzyme which when used in combination with other enzymes converts lignocellulosic containing biomass into glucose. Glucose and other fermentable sugars form the basis for the production of multiple types of biofuels including ethanol and butanol, as well as various specialty chemicals and other biomaterials for a variety of industries. The patented beta-glucosidase gene and the corresponding enzyme was isolated from Dyadic’s patented and proprietary C1 fungus and was also identified through the genome annotation project conducted in conjunction with Scripps Florida. 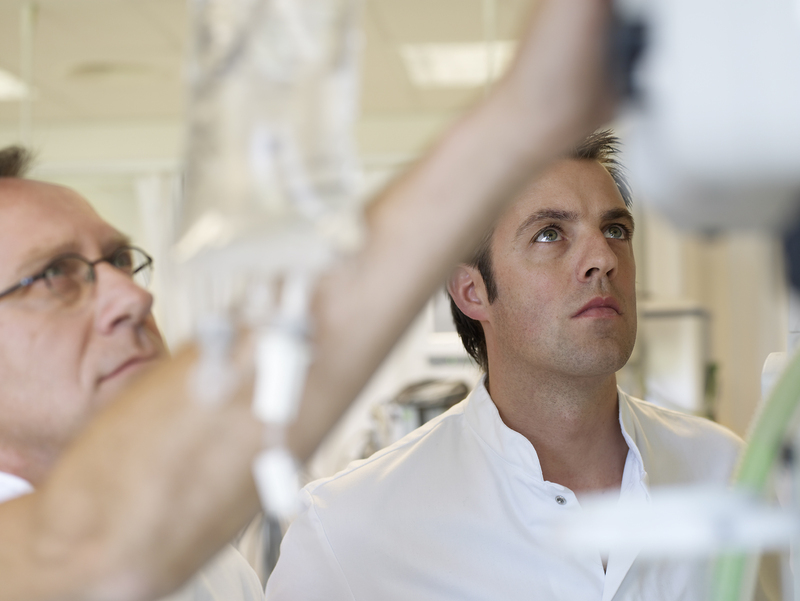 Thermo Fisher Scientific is holding a webinar entitled "How to Incorporate Procalcitonin (PCT) into your Facility's Sepsis Initiative", 24 February 2011 - 4pm EST. The speaker is Kirsten R. Pyle-Springer, RN, CCRN, CNRN, Sepsis Coordinator at Surgical/Neuro/Trauma Intensive Care Unit, Mission Hospital in Mission Viejo, California. Awareness of Sepsis is growing thanks in part to efforts like the Surviving Sepsis Campaign (SSC). In this webinar, Ms Pyle-Springer discusses this trend and the risk of Sepsis in critical care settings. She also discusses Procalcitonin (PCT) and how this sensitive biomarker can serve as an important adjunct to the SSC guidelines as part of a multi-point strategy for improving the management, diagnosis and treatment of Sepsis. Please visit https://procalcitonin-testing.ilinc.com/register/xttbfmc to register. The Automation Partnership (TAP), a leader in the design and development of innovative automation for life science applications, is has announced its new micro bioreactor system (ambr) is now available with integrated Beckman Coulter Vi-CELL Cell Viability Analyser. 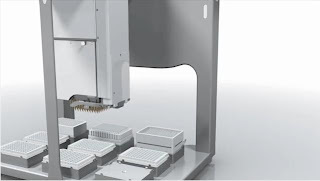 This new option on the ambr workstation, available with 24 or 48 disposable bioreactors, uses a fully integrated Vi-CELL Cell Viability Analyser to automate on-line measurement of viable cell number (VCN) and cell viability, thus allowing daily cell counts without the need for manual intervention. The system uses sterile, disposable tips to transfer cell suspensions to the counter and includes the ability to dilute cells prior to measurement thus minimising culture volumes used and allowing counts of dense cell suspensions. 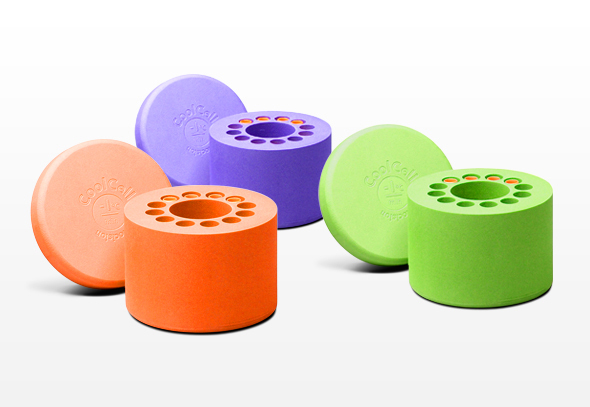 BioCision’s CoolCell is now available in orange and green versions, as well as the original purple, to provide useful colour-coding. CoolCell features a solid thermal core for consistent, controlled –1ºC/minute cell freezing in a –80ºC freezer, without any alcohol. Requiring less than 5 minutes between freezing cycles and no maintenance, CoolCell provides truly user-friendly and environmentally-conscious cell freezing. 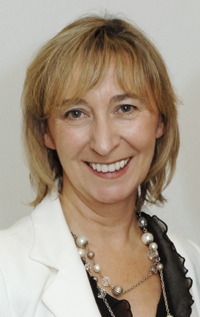 Michelle Nemits, BioCision VP, Sales and Business Development, said: "Such has been the success of CoolCell that laboratory freezers often contain many units, so we have launched two new colours to help users identify their frozen cell samples more quickly. CoolCell offers many advantages compared with alcohol-filled containers, which require continuous maintenance and are less reproducible than our innovative controlled freezing technology. Setting a new standard of excellence in cryopreservation, CoolCell is inexpensive and even pays for itself very quickly by using a novel alloy core instead of hazardous solvents." Cell Medica, a UK cellular therapeutics company that develops, manufactures and markets cellular immunotherapy products for the treatment of infectious disease and cancer, announces today that the first patient has been treated in the CMV~ACE/ASPECT trial at University College Hospital London. The Phase II randomised clinical trial is designed to demonstrate the efficacy of adoptive cellular therapy for the pre-emptive treatment of cytomegalovirus (CMV) infections in patients who have received a bone marrow transplant from an unrelated donor. Adoptive cellular therapy has been shown to prevent viral diseases in patients post allogeneic haematopoietic stem cell (bone marrow) transplant1,2. These patients, typically leukaemia or lymphoma patients, have profoundly compromised immune systems and are at high risk of the reactivation of latent CMV infection, often manifesting as interstitial pneumonitis. CMV serostatus continues to be a risk factor which influences the survival outcome of bone marrow transplant patients and improving the treatment of CMV infections represents an important clinical need3,4. AnaSpec, Eurogentec Group and In Vitro have announced a non-exclusive distributor agreement that will allow In Vitro and its European branches to distribute AnaSpec’s catalogue and custom products for peptides, fluorescent dyes, antibodies, assay kits, and amino acids throughout Europe. In Vitro’s branch locations in Europe include Sweden, Estonia, Denmark, and Norway. GeoVax Labs Inc, a biotechnology company that creates, develops and tests HIV/AIDS vaccines, announced today the opening of a second clinical trial site at the Alabama Vaccine Research Clinic (AVRC) of the University of Alabama at Birmingham (UAB) to expand the company's HIV therapeutic vaccine trial. Although the GeoVax vaccines are currently being tested clinically for HIV prevention, this is the first clinical trial using the same products for treatment of persons who already have HIV infection. UAB joins the AIDS Research Consortium of Atlanta (ARCA) as the second site used for this trial. Agilent Technologies Inc today introduced a headspace instrument for gas chromatography (GC) sample analysis, the 7697A Headspace Sampler. Based on Agilent’s automatic liquid sampler (ALS) technology, the 7697A Headspace Sampler features superior performance without loss or degradation of volatile components found in the gas portion of partitioned GC samples. Headspace sampling allows the introduction of volatile compounds, from virtually any matrix, directly into a GC or GC/MS instrument. The technique is relatively simple when compared to other injection techniques, such as purge and trap, and keeps instruments cleaner than the standard liquid injection. Oxford Gene Technology (OGT), provider of innovative clinical genetics and diagnostic solutions to advance molecular medicine, has expanded its CytoSure product range to include high-throughput genomic DNA labelling kits and sample tracking spike-ins. These new products will further streamline workflow and minimise sample tracking errors when performing array comparative genomic hybridisation (aCGH). The new CytoSure HT Genomic DNA Labelling Kit makes it possible to simultaneously label up to 96 samples using a 96-well plate format, boosting cost-effectiveness, increasing processing speed and facilitating automated sample handling. The unique formulation and mastermix-based approach maximises signal-to-noise ratio and reduces sample-to-sample variation, facilitating the confident detection of even the smallest aberrations. The Blood Science laboratory at the University Hospital Birmingham NHS Foundation Trust has introduced 13 serology assays onto their Roche Modular SWA platform, allowing them to offer a 24/7 serology service. As a leading organ and bone marrow transplant centre, this enables the laboratory to perform critical emergency transplant serology tests without the need for staff call-out. The main Blood Science laboratory for the Trust is located at Selly Oak Hospital, with the Microbiology department and a satellite biochemistry laboratory on a different site at the Queen Elizabeth Hospital. In the past, serology assays were performed in the Microbiology Department on a stand alone instrument. Test were batched and performed during the working hours of the microbiology laboratory (Monday to Friday between the hours of 9 am and 5 pm and Saturday mornings). Emergency transplant serology tests were provided on an on-call basis. Oxford BioMedica plc, a gene therapy company, has appointed James Christie, BSc, MBA to the newly-created role of Head of Manufacturing with immediate effect. This appointment follows the announcement on 31 January 2011 that Oxford BioMedica has agreed to acquire a manufacturing facility based in Oxford, UK from RecipharmCobra Biologics, the specialist biologics division of Recipharm AB. Is routine analysis of pediatric tonsillectomy specimens worth the money? Without fanfare, hundreds of thousands of children surrender their tonsils to a surgeon’s scalpel each year, usually to alleviate recurring infections and obstructive sleep problems. Most of the time, the snipped tonsils are sent to a pathologist, who looks for evidence of more serious medical problems, like unsuspected cancer. The approximately $35 million spent in the US on such examinations each year might have more impact if spent elsewhere in the healthcare system, says the study’s senior author, Marc C Thorne, MD, MPH., assistant professor of otolaryngology at the U-M Medical School. Porvair Sciences has announced a reference guide for scientists that details the chemical compatibility of materials used in microplates to a wide range of common laboratory chemicals. 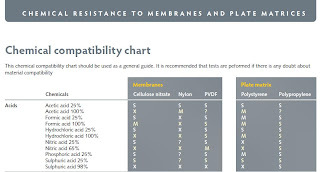 Downloadable direct from the Porvair Sciences website the easy-to-use reference guide describes the compatibility of different microplate matrices and membranes to a wide range of acids, alcohols, bases, esters, hydrocarbons, chlorinated hydrocarbons, ketones and other chemicals. 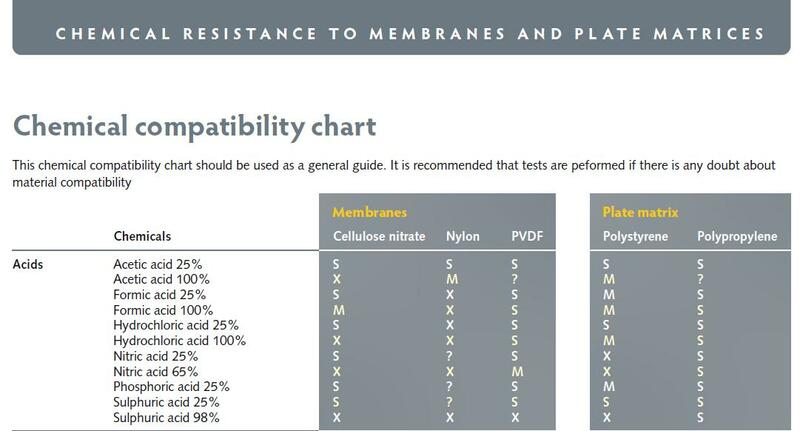 Chemical compatibility data for each material, based upon tests performed at room temperature is listed as 'suitable', 'ok for medium term use' or 'unsuitable'. Thermo Fisher Scientific Inc, the leader in serving science, today announced the initial findings of stroke research conducted by its Biomarker Research Initiatives in Mass Spectrometry (BRIMS) Center in collaboration with Massachusetts General Hospital (MGH), Harvard University. Strokes are the leading cause of serious long-term disability in the US. The research, conducted using Thermo Scientific mass spectrometers, provides insight into key areas of stroke evaluation and treatment. The research will be previewed at the MSACL conference in San Diego in February, 2011. Molecular Profiles, a pharmaceutical development service provider, announces the continued expansion of its manufacturing capabilities with the recent purchase of the Xcelodose 120S system. The purchase of the unique system reflects the company's broader mission to expand the breadth and flexibility of its service offerings, having recently introduced its manufacturing capabilities for phase I and IIa studies, as well as enhancing the company's expertise with difficult-to-formulate small molecules. Molecular Profiles is one of just a handful of contract development and manufacturing organizations to offer the Xcelodose as part of its services. The company's investment in the system was a strategic manoeuvre intended to strengthen its existing expertise in the niche field of difficult-to-handle molecules. Customers of Molecular Profiles will benefit significantly from the installation of the Xcelodose 120S, with considerable time-scale reductions for taking drugs to clinic. As loved ones with dementia disappear into symptoms of aggression, agitation or delusions, families are left with few good medical solutions. A new generation of antipsychotic medications gained popularly in the 1990s because they avoided side effects such as Parkinson’s syndrome associated with conventional antipsychotic medications used to treat dementia. But a new study led by University of Michigan and VA Ann Arbor Healthcare System researchers shows the use of these second-generation medications began to decline significantly in 2003, years ahead of a “black box” warning from the Food and Drug Administration in 2005 – the strongest type of warning issued by the FDA. Helen C Kales, MD, associate professor of psychiatry at the University of Michigan Medical School and researcher at the VA Ann Arbor Healthcare System, says this shows that emerging understanding of the medications’ increased risk of diabetes and stroke was taken seriously. Agilent Automation Solutions has announced a new white paper entitled 'An introduction to High-throughput Microchromatography' which introduces a highly versatile quantitative sample preparation technique for protein analysis. The biotherapeutic industry is driving an ever-increasing demand for protein analysis. 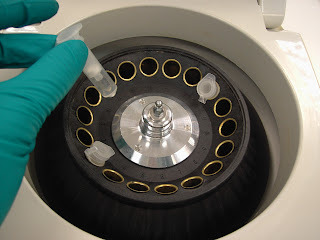 Liquid chromatography is a well proven, highly robust and versatile general technique for protein purification from complex samples, for both analytical and preparative applications. A significant challenge has been to adapt liquid chromatography to the requirements of high throughput analysis. To accomplish this, a number of critical technical requirements for scale, throughput, quantitative binding and elution, controlled flow rate, air entrainment, and microplate format must be met. Porvair Filtration Group, a leading innovator in the fields of filtration and separation, has developed a new technology that has particular relevance to the rapidly expanding Epigenetics market and will be unveiling it at the Epigenetics World Congress in Boston in April 2011. Chromatin Immunoprecipitation (ChIP) is the key experimental technique used to investigate the interaction between proteins and DNA in the cell. It aims to determine whether specific proteins are associated with specific genomic regions. ChIP is a core enabling technique that is being widely adopted in the rapidly growing field of Epigenetics. Using a new approach, based on a rigid porous polymer matrix rather than the traditional sepharose or magnetic beads, Porvair has developed a novel Chromatin ImmunoPrecipitation (ChIP) assay kit called Chromatrap. Results from third party field trials, to be presented at the Epigenetics World Congress, demonstrate that Chromatrap is able to routinely deliver greater ChIP specificity, higher ChIP sensitivity and faster separations than traditional sepharose or magnetic bead approaches. The SPECTROstar Nano is an absorbance microplate reader and BMG LABTECH is giving away five of these instruments for your ideas. Its proprietary ultra-fast UV-Vis spectrometer instantaneously captures a full spectrum in microplates, cuvettes and low volumes samples. It will redefine the most common absorbance assays such as ELISAs, DNA, RNA, protein (Bradford, BCA, Lowry), cell growth, and beta-galactosidase, while expanding your laboratory’s capability with different sample formats. For your chance to receive one of five free SPECTROstar Nanos, just submit a short 2-4 page research proposal on how your laboratory would use the SPECTROstar Nano. Proposals will be evaluated based upon uniqueness of research. Tell BMG LABTECH how you would use the instrument in a unique way and/or use one of its many features, such as: full UV/Vis spectrum per well, gas vent for atmospheric control, 1536 well plate reading capability, incubation and shaking, reference corrections to existing assays to improve data, cuvette and plate kinetic capability, BMG LATECH’s low volume LVis Plate, robotic interface mode or one of the other outstanding features that the SPECTROstar Nano offers. Winners will also be chosen by probability of success and thoroughness of the individual proposals. For more information go to www.bmglabtech.com/promotion or ask your local BMG LABTECH representative. QIAGEN launches ScreenGel software for convenient DNA fragment and RNA analysis with the QIAxcel multicapillary gel electrophoresis systems. The software combines the highest possible flexibility for researchers with the ability for standardized and reproducible operations in routine labs. ScreenGel enables the easy performance, interpretation and customized documentation of electrophoresis analysis. It facilitates system setup and data analysis with an intuitive user interface for easy navigation. Performance of runs is supported by “wizards” that guide users step-by-step through the experiment setup. Cellzome announced today that it has achieved the second milestone in its epigenetics alliance with GlaxoSmithKline. The milestone triggers a payment of an undisclosed amount from GSK and follows only two months after the first milestone was achieved. The strategic collaboration in epigenetics was announced in March 2010 and gives GSK exclusive access to Cellzome’s proprietary Episphere technology in the emerging field of epigenetics as applied to immunoinflammatory disease. Under the terms of the agreement, the companies work together using Cellzome’s Episphere technology platform, to identify selective small-molecule drug candidates against targets from four different epigenetic target classes. The companies share operational responsibility for the programs until identification of drug candidates, at which stage GSK will assume responsibility for any further preclinical and clinical development and commercialisation. Numerous studies have shown that the brain molecule neuropeptide Y (NPY) helps to restore calm after stressful events. A team of University of Michigan-led researchers has now found that people whose genes predispose them to produce lower levels of NPY are more responsive to negative stimuli in key brain circuits related to emotion – and are therefore less resilient in the face of stress and may be at higher risk for developing a major depressive disorder. The scientists hope the research will eventually help with early diagnosis and intervention for depression and other psychiatric illnesses, and in the development of therapies that can be tailored to individuals based on their genetic profiles. The findings were published February 7 in the Archives of General Psychiatry. Randox Life Sciences is a recognised primary manufacturer of high quality, cost-effective human recombinant proteins, recombinant antibody fragments and polyclonal and monoclonal antibodies to classic and novel targets. The Clinical and Laboratory Standards Institute (CLSI) recently published a revised document, Clinical Laboratory Waste Management; Approved Guideline-Third Edition (GP05-A3), which was written for use by laboratory managers and is intended to provide approaches to controlling laboratory-generated hazardous and nonhazardous waste. This revision replaces the 2002 publication of GP05-A2. The chairholder of the subcommittee that developed the document, Terry Jo Gile, MT(ASCP), MA Ed, Safety Lady LLC, said, "Each section was carefully reviewed by committee members for accuracy and relevance. The guideline was revised to align with the quality management system approach described in other CLSI documents. The document provides information on all types of waste generated by the laboratory, including chemical, infectious, radioactive, sharps, multihazardous, and other solid waste. It also includes sections on waste management planning, pollution prevention, waste minimization, recycling, and staff education." Novasep, a supplier of manufacturing solutions to the life science industries, and instrAction, a manufacturer of innovative chromatographic stationary phases for API purification processes, today announced they have expanded their worldwide strategic alliance to include the purification of taxanes, a well-known class of anti-cancer compounds. This extended collaboration enables Novasep to develop and operate or supply optimized large-scale chromatography processes for cost-effective purification of taxane-based active pharmaceutical ingredients (APIs) and intermediates. The two companies announced a strategic alliance covering non-chiral chromatography in July 2010. The extended relationship means Novasep adds enhanced taxane anti-cancer compound capabilities to its extensive range of manufacturing solutions for life science industries. Two National Health Serice Trusts in the UK have switched to iSOFT’s CorVu laboratory management reporting. North Cumbria University Hospitals NHS Trust will use CorVu to analyse department statistics to improve the turnaround times of pathology tests at the Cumberland Infirmary in Carlisle and nearby West Cumberland Hospital at Whitehaven. The order follows a recent upgrade of iSOFT’s laboratory information system, i.Laboratory. At St George’s Healthcare NHS Trust meanwhile, CorVu is replacing a management reporting system that is unable to keep pace with the demands on modern pathology services. Its 180 pathology staff deal with 697,000 orders and 7.5 million pathology tests a year. The Nanotechnology Knowledge Transfer Network (NanoKTN), one of the UK’s primary knowledge-based networks for Micro and Nanotechnologies, is pleased to confirm Professor Sir Michael Rawlins, Chairman of NICE, as keynote speaker at Nano4Life 2011. The one-day conference and exhibition, now in its third year, will explore the key areas within the life sciences where nanotechnology looks to advance healthcare provision, improve product discovery and keep the UK a leading force in this developing technology sector. There is no doubt that the field of biotechnology is moving forward rapidly and over the past decade there has been significant interest in the promise that nanotechnology holds for the international life science industries. An estimated 40 per cent of US nanotechnology venture capital has been allocated to life science start-ups and the technology is starting to impact areas from drug delivery to diagnostics and medical devices. Nano4Life 2011 will look at the areas where nanotechnologies are already being adopted in healthcare and where it is likely to be used in the future. CARBOGEN AMCIS, a pharmaceutical process development and Active Pharmaceutical Ingredient (API) manufacturing company, has expanded its service portfolio and capacity for stability studies. In compliance with the latest International Conference on Harmonisation (ICH) guidelines, and in response to customer demand, the company has installed new stability chambers at the Hunzenschwil (Neuland), Switzerland operations and offers short-term, long-term, accelerated, intermediate, follow-up and customized tests. CARBOGEN AMCIS’ new fully validated and mapped stability chambers <http://www.carbogen-amcis.com/sciSpecialties/ICH-stability-study.asp> operate at ICH conditions (25°C/60% RH, 30°C/65% RH, and 40°C/75% RH) and at low temperatures (5°C, -20°C and -80°C). With a current shelf storage capacity of about 92 m2, they provide secure and safe storage for APIs’ samples, including highly potent material, employed for in-house stability studies. MorphoSys AG has announced that the US Patent and Trademark Office (USPTO) has granted a patent covering the company's most proprietary compound MOR103. The new patent (US 7,867,495) covers MorphoSys's HuCAL antibody against GM-CSF as well as pharmaceutical compositions comprising the same, and has a scheduled expiry date in 2026, not including any potential extensions. This newly issued patent complements a US patent granted in 2008 covering medical uses of antibodies against GM-CSF, to which MorphoSys has exclusive access under a license agreement with the University of Melbourne. Together, the two patent families provide strong intellectual property protection for the MOR103 program. "The protection of our intellectual property is a central part of MorphoSys's business model," commented Dr. Simon Moroney, Chief Executive Officer of MorphoSys AG. "We will continue to strengthen still further our intellectual property position in antibody-based products and services, particularly in our most important markets Europe, the USA and Asia." Human GM-CSF (Granulocyte macrophage-colony stimulating factor), the target molecule of MorphoSys's lead program MOR103, is implicated in a number of inflammatory and other conditions including rheumatoid arthritis (RA) and multiple sclerosis (MS). The HuCAL-derived, fully human antibody is currently being tested in a clinical Phase 1b/2a trial in RA patients. Additionally, MorphoSys plans to start a Phase 1b safety study of MOR103 in multiple sclerosis patients in 2011. Cellnovo, developer of the first mobile diabetes management system, has announced that it raised £30 million ($48.4 million) in a Series B financing round led by Edmond de Rothschild Investment Partners (EdRIP), with Forbion Capital Partners; Auriga Partners; NBGI Ventures and Credit Agricole Private Equity joining Series A investors Advent Venture Partners, HealthCare Ventures and NESTA in the round. Based in London, Cellnovo will use the funds to commercialize its system and expand to markets around the world The Cellnovo system, developed in-house, is unique in several ways including: the accuracy and size of the pump's technology, as well as the touch-screen, mobile-connected device that provides healthcare professionals and families immediate access to a myriad of information.